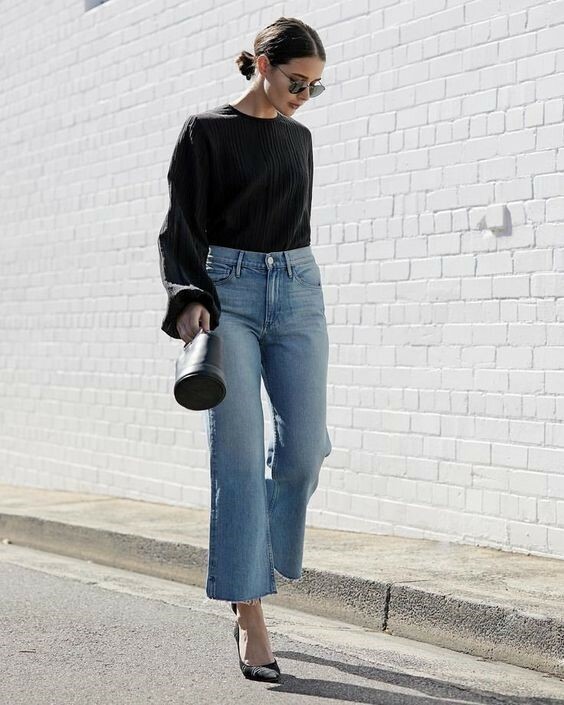 Here’s how to wear your favourite pair of jeans to work | SHEmazing! Take a peek inside the wardrobe of any woman and you’re likely to find at least one pair of jeans. It is, after all, an essential designed to withstand every season and trend. 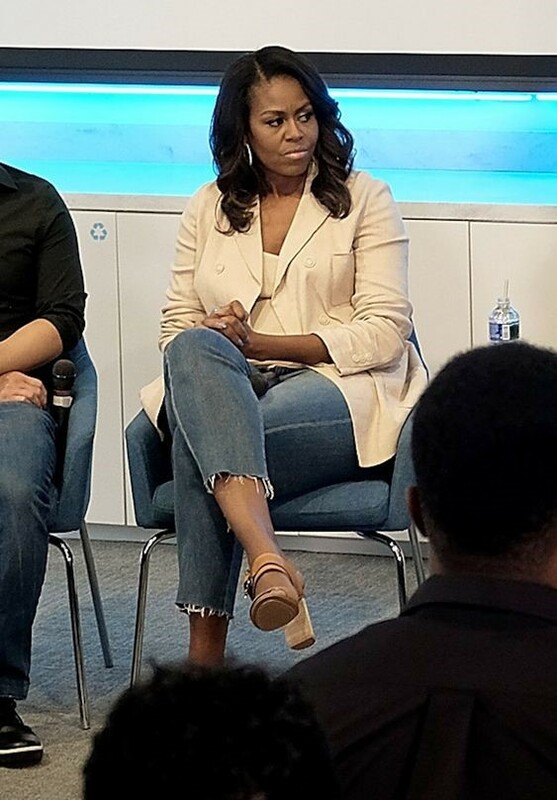 Recently, jeans have even made their way into offices, cutting through the corporate red tape and becoming a staple for working women everywhere. But, of course, the key to wearing jeans at work is styling and knowing how to walk the line between professional and casual. 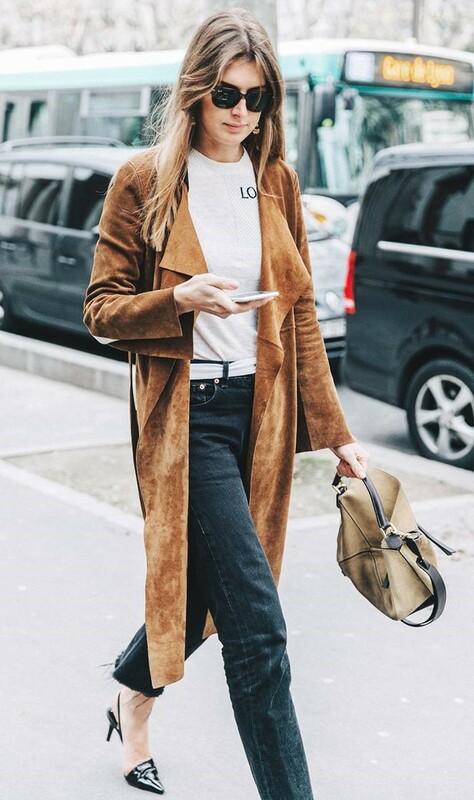 Wearing jeans shouldn’t be an excuse to look like you’re simply out shopping, and despite the more relaxed dress codes in offices across the UK; there is still the need to look professional. That said, here are some tips to keep in mind. Jeans undoubtedly look good on their own, but are fantastic when worn with other thoughtful layers. Take your cue from former US First Lady Michelle Obama. One of her signature looks involves her favourite frayed jeans and blazer combination, which she has taken from television shows and meetings, to the boardroom and on to the streets. This is one pairing that will have you appearing presidentially cool any time of the day. Because jeans are already a deemed casual, try mixing and matching them with other clothes that are more on the high end. Heels, for example, immediately upgrade your entire ensemble. They go well with wide leg jeans — a vintage cut reminiscent of your mother’s stylish youth. Fortunately, they’ve recently made their fashion comeback, as showcased by the different kinds of wide leg jeans listed on Woman Within. These types of jeans are ideal if you’re looking for something nostalgic, while the heels serve to add a touch of sophistication. We suggest simple, strappy heels, or sultry pointed toe pumps for the best effect. Just like jeans, a classic button-down never goes out of style. Wear them together and you’ve got an outfit that is timeless with an understated elegance. 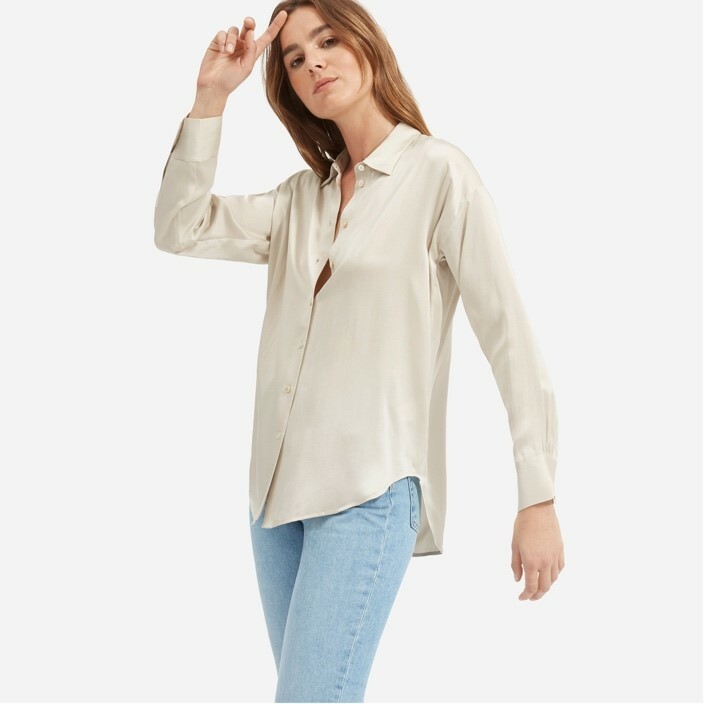 The silk button down shirt from Everlane is a nice bet for its luxe material, which provides a nice contrast to the rougher denim. It’s also a classic look that lets you experiment with different shirt colours and patterns, depending on your mood. With outfits like this, there’s no need to change for after-work drinks and events. If light wash denim is synonymous with relaxing summer days, dark wash denim is its more serious — but ten times sleeker — older sister. Go ahead and try a versatile black shade, or choose blues on the deeper end of the spectrum. Actress Olivia Palermo nails the look with a pair of dark blue denim jeans from AG. Remember our previous tip here on SheMazing? A reliable rule of thumb when getting dressed for work is to toss it if it’s something you can’t imagine your boss wearing. Sadly, your ripped denim jeans probably fall under this category. While ripped jeans are trendy and chic, save them for the weekend and stick to clean-cut denim for work instead.